Let's continue to build on our work to improve the quality of life for everyone in San José. 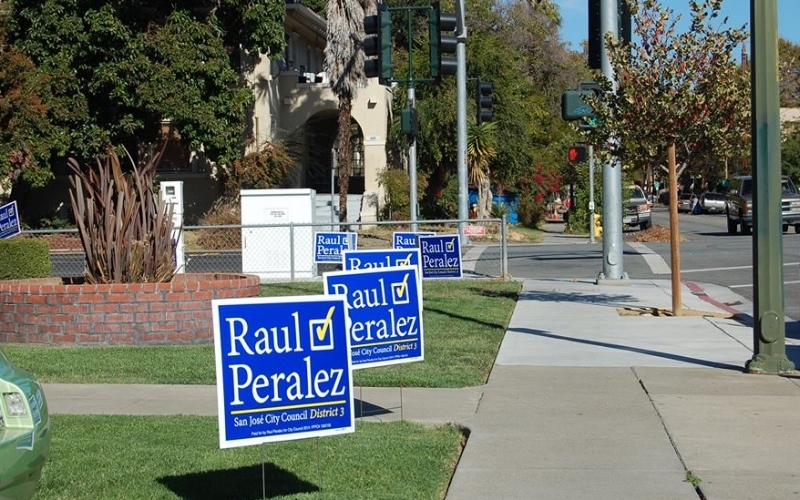 Raul Peralez is running for re-election to the San José City Council for District 3, representing the downtown core and surrounding neighborhoods. As a lifelong resident of San José, Raul saw an opportunity to further his commitment to public service and left an eight-year career with the San José Police Department to run for City Council. Since being elected in 2014, Raul has taken action to address the City's public safety, transportation, economic development and housing needs. District 3 is at the epicenter of incredible change and the elected representative will play a vital role in its development. Raul is intent on continuing to be an advocate for sustainable and equitable growth for District 3 and the City, and he is more committed to public service today than ever before. Stay up to date with the latest news, events, and information about our campaign. Learn more about community leaders and neighbors supporting our campaign, and how you can endorse!